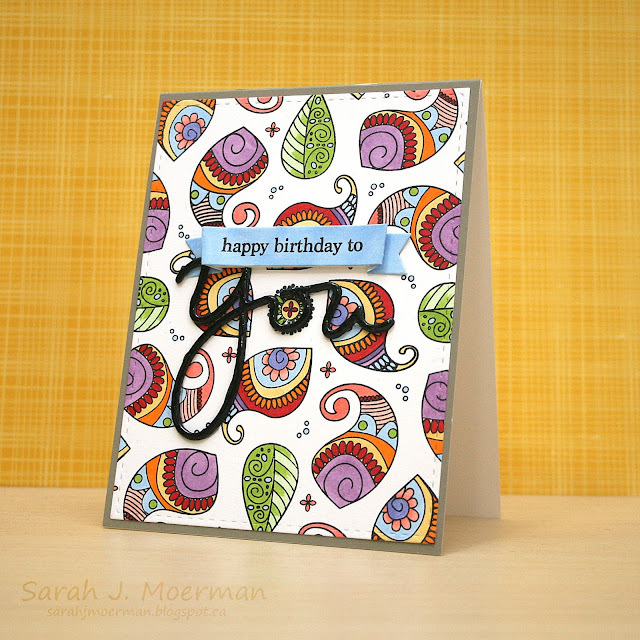 I'm popping by to share a card I made using the Simon Says Stamp Henna Patterns Stamps to create a whimsical background. This card was so fun make and colour! I cut a piece of Neenah Solar White Cardstock to 6 inches by 6 inches. I then put it in my Misti Stamping Tool and stamped the small circular image (the one behind the 'o' in 'you') in the very center of my cardstock. I then placed my first pasley image where I wanted it, inked it up, and stamped it. Because my cardstock was a perfect square, I was able to rotate it and restamp the image in all four quarters of the cardstock to create a perfect repeating pattern. I continued to do this with all the images I used until my cardstock was filled with stamping. I coloured the images in with Copic Markers and diecut the panel using the rectangle from Simon's Bundle of Stitches Dies. For the sentiment I used Simon's You Matter Stamps and Die Set as well as one of Simon's Small Folded Banners Dies. The banner was coloured with the B21 Baby Blue Copic Marker to match the blue in the background. The 'you' was cut three times and adhered together with Multi Medium Matte to create dimension and was also covered with Glossy Accents. I'm grateful you posted this card , I own this stamp set and didn't know how to get crafty with it 🙄 ! Love this! 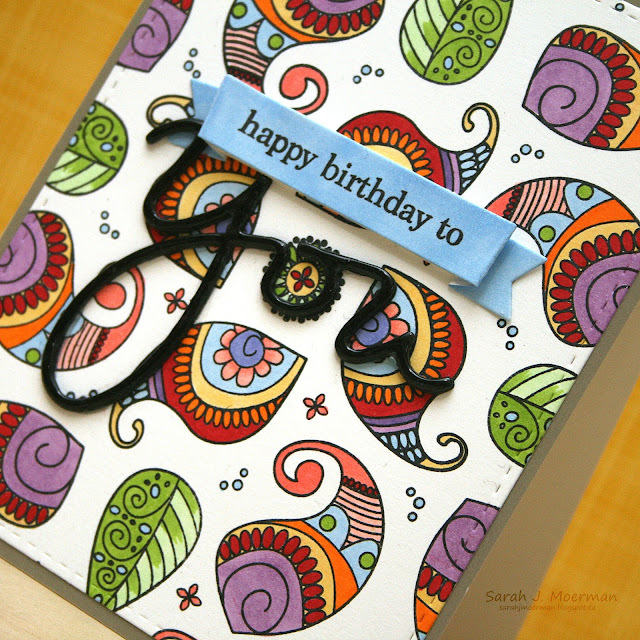 Such a fun and cheerful card!